It’s been nearly a decade now since Rachael Yamagata first enchanted listeners with her heartfelt, passionate songs. With three full-length albums and several EP’s to show for her hard work, Yamagata’s loyal and dedicated fan base continues to grow as years go by. Since her first EP’s release, Yamagata’s songs have matured along with her performance style. The maturation process of an artist with talent like Yamagata’s is a delight to watch as it occurs over time. Her voice is as strong as its ever been and her lyrics are just as poignant, if not more so, than anything from her earlier years as a songwriter. Tell us a little bit about this particular tour. You’re currently supporting your EP Heavyweight which was released late last year. Do you go into each new tour with a theme in mind or a goal you plan to achieve with that particular set of performance dates? I try to make every tour unique and give fans a reason to return each time. I want to stay inspired as well so it’s helpful to me to change the lineup and reinvent the experience. The last few tours have been combinations of fuller band line ups and this round is a duo set. It’s stripped down, but certainly not limited to an acoustic vibe of two people on guitars. We really spent time on these arrangements to make them intimate and yet embellished. When we can we add strings which is always a treat. As a singer-songwriter myself, I find that learning new covers songs helps keep the chops up. Are there any songs you’ve found yourself learning these days to do the same or do you tend to stick to your own material when preparing for a tour? I need to do more covers! I agree that learning them can open your mind in so many ways and propel you forward musically. Mostly, I stick to my own tunes when getting ready however. Rehearsal time is always sparse and I’m usually playing with folks that come from all across the country so we’ve got to learn the set first and go from there. The past few years, you’ve been careful to select who goes on tour with you. In recent memory, you’ve featured Madi Diaz, Adrien Reju, Ed Romanoff, and now Sanders Bohlke. How did you end up choosing those acts and what about them struck you as unique? Touring for me is so much about the vibe on the road and a complimentary match up musically. Both are just as important to me. I also want to introduce great artists into the mix and help where I can. All of the supports I’ve had so far have come about very organically and my audience has really embraced them. I think about the show as a whole as well and the energy the support starts the night with and how I can follow it up. As a veteran of the singer-songwriter tour circuit, having that fresh blood around is likely to yield some productive collaboration efforts in both life and music. For as much as they’ve learned from you, I’m sure you’ve learned just as much if not more from them. Is there a standout story from this tour (so far), or a recent tour, in which you learned something new about music or life from one of your protégés? I’m really fascinated with Sander’s reverbs and pedal/loop work right now. He’s constructed a really haunting set and is so brave to get up there every night and be all by himself. His transitions are really fluid and there’s a beautiful arc in his show. You’ve lived in a lot of different places – New York, Philadelphia, Chicago – but when you come back to the DC area to perform you’ve got your family and even childhood friends in the audience. How does it feel to perform in front of that kind of crowd and what does it mean to you? It’s much more difficult actually. I’m extremely low key and shy in my normal life and that dynamic was more of my childhood. I think part of the reason I even find this need to be on stage is because there is a part of me that needs expression in a new light. The songs were the beginning and the stage show is a result of attracting an audience from that material. Family and friends are subjective. I’m more instantly free in front of strangers really. What’s next after the tour? Is there a new LP in the works? I’ve got some international touring coming up in the fall, but yes I’m planning to start on the new record as well. I’ve got a few projects in the works so it’s definitely a juggling act. 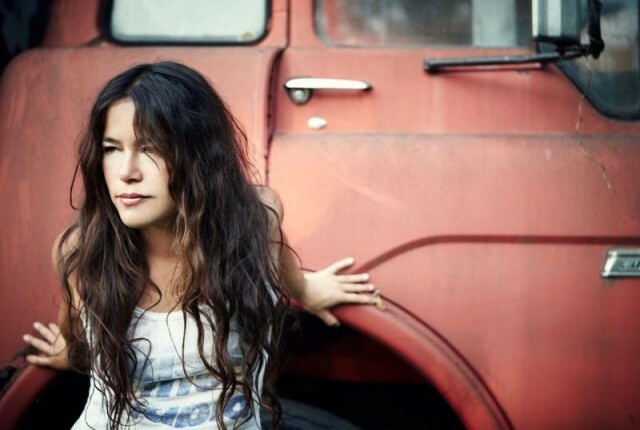 Rachael Yamagata will be performing live at The Birchmere in Alexandria, VA tonight with Sanders Bohlke at 7:30 p.m. Tickets are still available.